Whether it’s storing files in the cloud, listening to music in the cloud or saving pictures to the cloud, more and more people seem to be using 'the cloud.' And those who aren't are left wondering, what is 'the cloud'? If you're someone who hasn't quite caught on to the cloud trend, don't worry—the cloud still means those white puffy things in the sky. In technology, however, it means something completely different. Here’s a breakdown of what the cloud actually is and how regular, everyday people are using it to help make their online tasks and experiences even better. 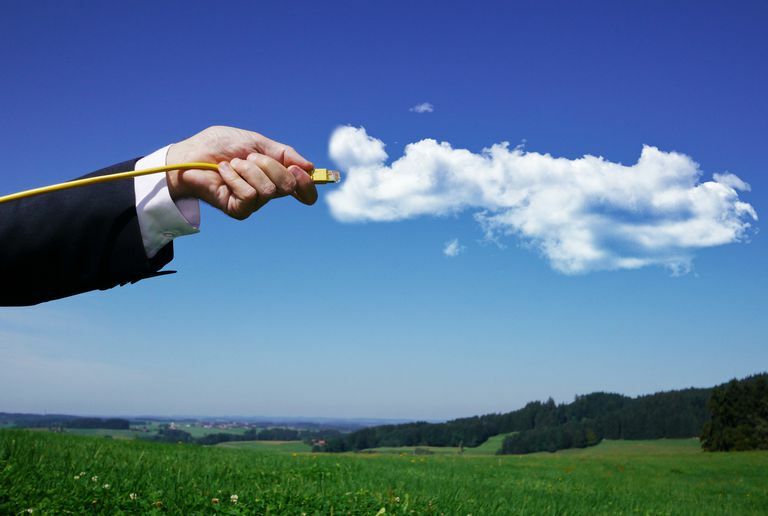 What Do People Mean by 'the Cloud'? The term cloud is simply how a network or remote servers can be accessed via an internet connection to store and manage information. In other words, it’s a place other than your computer that you can use to store your stuff. Before we had cloud storage services, we had to save all of our files to our computers, on our local hard drives. These days, we have multiple desktop computers, laptop computers, tablets and smartphones that we may need to use to access our files. The old method was to save the file to a USB key and transfer it to another computer or email the file to yourself so you could open it on another machine. But today, cloud computing allows us to simply save a file on a remote server so it can be accessed from any machine that has an internet connection. For a lot of people, the experience of accessing files from anywhere is like pulling it down from the sky, or a cloud. There’s quite a bit of complex infrastructure that goes into cloud computing, and luckily, you don’t need to understand all of it to use it. If you actively use the internet and create and save files to your own computer, that’s all you need to understand how to use a cloud computing service. If you want to store, manage or take files from the cloud, you almost always need a personal account for security reasons. Your phone, laptop, computer, or tablet will prompt you to create one if you don't already have one. Free accounts, which most people use, usually just require an email address and a password. Premium accounts require credit card information and charge you a recurring fee. Dropbox: Dropbox is like your personal folder in the sky (or in the cloud) that can be accessed from anywhere. Google Drive: Google Drive is just like Dropbox, but it integrates with all of your Google tools like Google Docs, Gmail and others. Microsoft OneDrive: Much like Google Drive, Microsoft OneDrive is cloud storage that integrates with integrates with your Microsoft applications, such as Word or Excel. Spotify: Spotify is a free music streaming service with a subscription option so that you can enjoy thousands upon thousands of songs as often as you want. The songs are stored in the cloud so anyone with a subscription can access them. Netflix: Similar to Spotify, Netflix is a TV show and movie streaming service. Its extensive library of titles is stored on other servers so you don't have to store them yourself. You just pay a monthly subscription and stream them "from the cloud" (a.k.a. from their servers). Using a cloud storage service can make your life a lot simpler, especially if you need to access and change files from a number of computers or devices, such as from home or from work. Every cloud storage service has its advantages and disadvantages, and no service is perfect. Most offer free accounts as a basic and beginner option, with the opportunity to upgrade to bigger storage and larger file options. And if you already have an Apple machine or a Google account (like Gmail), then you already have a free cloud storage account and you probably don’t even know it! Check out our review summaries of five of the most popular cloud storage options today. Here you can see what kind of free storage you get, what kind of pricing is offered for more features, the maximum file size you can upload and what kind of desktop and mobile apps are offered.